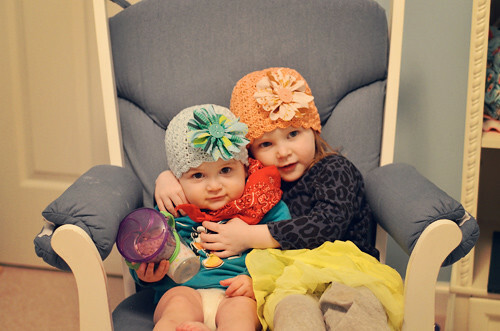 If you’re not a knitter, you might not be familiar with Petite Purls, but it’s the brainchild of two moms, Brandy and Allegra, two knitters turned designers who each gave birth to a sweet baby girl within 2 days of each other. Despite their geographical distance, they started this adorable magazine to fill in a pattern gap–namely, beautiful designs for kids. We somehow got in touch on twitter before my first TNNA show, and I loved the idea of doing a crochet design for them, what with the nearly perfect timing for the release my book, Little Crochet. And so I designed Little Sister (ravelry pattern page), a hat formed from a sweet shell pattern that grows organically from the top down. 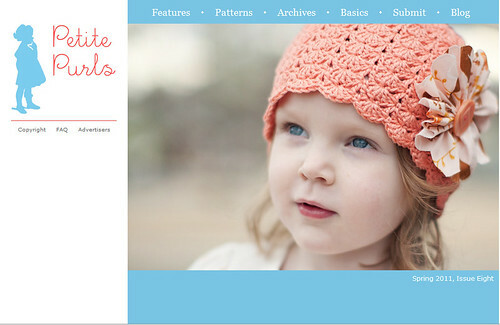 The pattern is free, and Iwrote it in four sizes, from baby to adult, so no sister would miss out on the fun! The hats work up beautifully and quickly from Cascade Ultra Pima (a new favorite yarn of mine), and the hand-sewn fabric flower really sets them off (photo tutorial included!). One crocheter already shared a cute variation on my facebook page, she attached the flower to a crochet headband instead of making the hat. I’m thrilled that my crochet design made the cover of this mostly-knit publication, as it has already inspired some people to speak my favorite words: “I guess it is time for me to learn to crochet!” and “I didn’t know you could do that in crochet!” Here, the hats are shown on Brandy’s two little girls (she also took the stunning photographs)–scroll down to the bottom of the pattern page for a cute story about what happened to the blue hat. If you make this hat, I’d love to see it! Please share with me on ravelry, facebook, twitter or here in the comments. @lindamade Congrats on the cover! 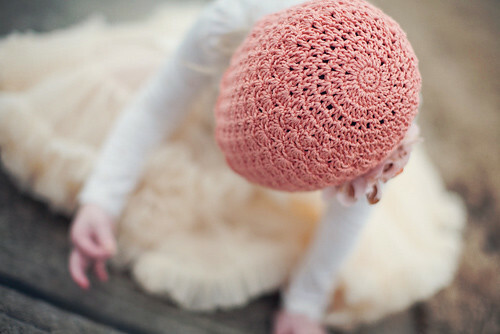 Your crochet hat is so lovely. Oh, so beautiful, Linda! I'll be making it for sure. Great, I know yours will be beautiful! That hat is adorable, congrats!